On December 10th, 1948 the United Nations General Assembly adopted the Universal Declaration of Human Rights. Two years later the UN proclaimed December 10th as Human Rights Day. This day is commemorated throughout the world and calls attention to the ongoing work of promoting and protecting human rights. Columbia University Libraries has made a significant investment in supporting teaching, learning, and research related to human rights and related advocacy movements. Our Center for Human Rights Documentation & Research acquires unique primary resources, including the archives of several major human rights organizations. We have a network of subject specialist librarians who build excellent general collections of resources from around the world in many languages. Some highlights our our collections: Human Rights organizational archives, including the records of Human Rights Watch , Amnesty International USA, the Committee to Protect Journalists, and the Committee for Health in Southern Africa. Gay J. McDougall South Africa and Namibia Papers, which includes records of the Lawyers’ Committee for Civil Rights Under Law Southern Africa Project. 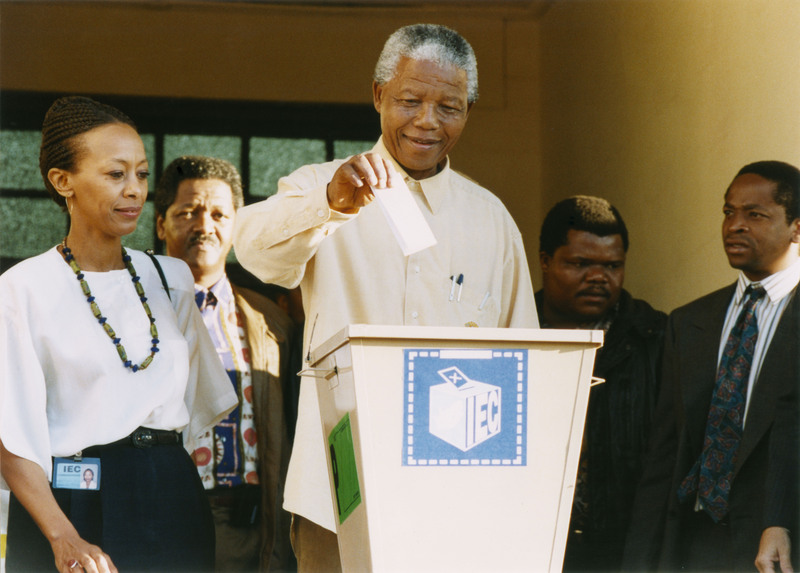 This collection documents Ms. McDougall’s work in coordinating the defense of political prisoners, and her work on South Africa’s Independent Electoral Commission. This collection is being processed. Please check our Center’s website for updates on the availability of the collection for research. Telford Taylor Papers, 1918-1998. Taylor was a prominent lawyer who served as Counsel for the Prosecution at the International and Nuremberg Military Tribunals. 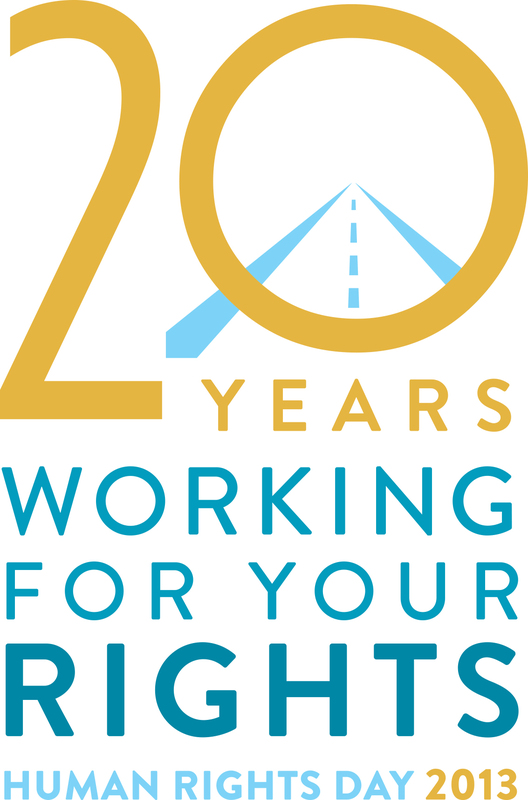 Human Rights Web Archive: A collection of copies of over 500 websites of organizations, tribunals and truth commissions, collected from 2008 to the present. Visual History Archive: Collection of over 50,000 testimonies of survivors and other witnesses of the Holocaust, produced by the Shoah Foundation Institute for Visual History and Education. Columbia Center for Oral History Rule of Law Project, a collection of oral histories exploring human rights in the post 9/11 world. This entry was posted in Global Studies and tagged CHRDR, Genocide, Holocaust, Human rights, library resources, primary sources on December 10, 2013 by Pamela. Columbia University Libraries now has an ongoing trial of Asian Film Online through December 31, 2013. We are considering purchase from Alexander Street Press. This is the result of a partnership between Asia Pacific Films and Alexander Street Press. Asian Film Online offers a view of Asian culture as seen through the lens of the independent Asian filmmaker. Through a selection curated by film scholars and critics, viewers can explore the impact of globalization and urbanization on people’s everyday lives throughout the greater Asian region. Faculty and students engaged in area studies, anthropology, film studies, philosophy, geography, education, religion, gender studies, world literature, urban development, cross-cultural communication, journalism, social sciences, and humanities will benefit from exploring this rare collection of films that make silent voices heard. This entry was posted in Global Studies and tagged cinema, Digital resources, library resources, South Asian Studies, trial on November 1, 2013 by Gary Hausman. 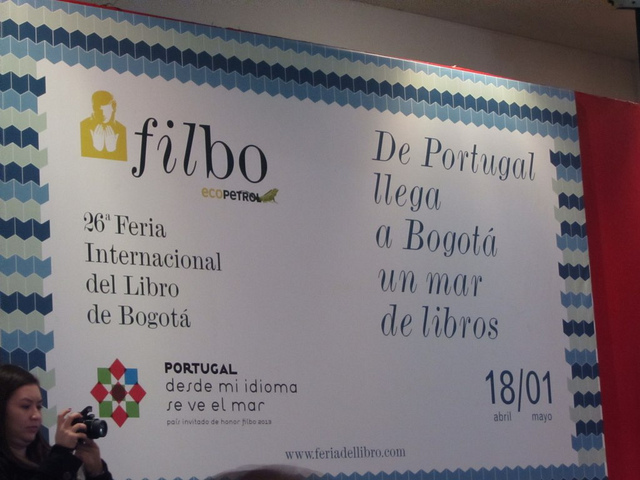 For the second time in two years, I traveled to Bogotá, Colombia in April to attend the International Book Fair of Bogotá, popularly known as FILBO. Along with nineteen other international librarians, I received a generous invitation from Proexport Colombia, La Cámara Colombiana del Libro, and the Centro Internacional de Negocios y Exposiciones –CORFERIAS. Together, they covered air travel, fair registration, and provided other assistance during the professional days of the fair. 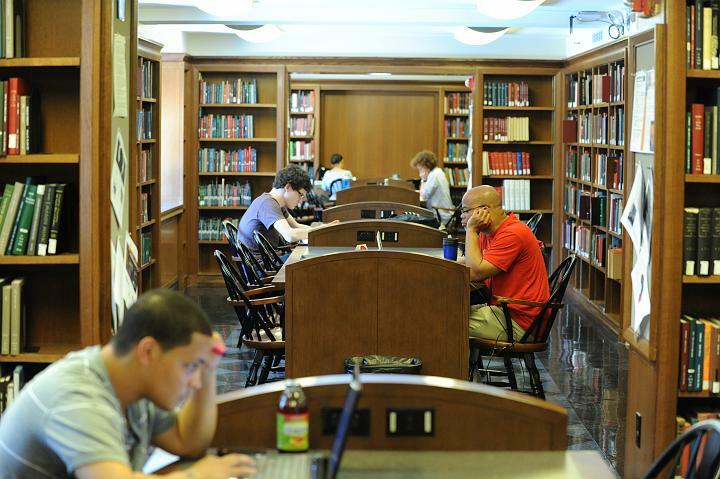 I also wish to acknowledge the additional support of Columbia University Libraries. FILBO is one of the three largest annual book fairs in Latin America (together with Guadalajara and Buenos Aires). It is an excellent means of both professional development and selection as 95% of Colombian publishers participate in the fair. Walking around the pavillions, it was exciting to see Columbia and Cornell faculty members' work on prominent display, to include works by Joseph Stiglitz (in Spanish translation) and Edmundo Paz Soldán, among others. Although primarily a national showcase, Portugal’s pavilion was irresistible as the selection was excellent. Portugal sent over 20,000 copies of their best recent publications in various disciplines. I dedicated almost an entire day to review and select Portuguese titles as the opportunity to explore Portuguese books up close does not come too often. As this was the first year working with a shared vendor to provide Colombian materials to both Cornell and Columbia libraries, I spent half a day working closely with our vendor, Carlos Retta, to fine tune our selection criteria. In the end, I’m confident that moving forward we will build a deep, wide-ranging collection of Colombian publications in many academic disciplines. We will not duplicate nearly as much (in the past decade Cornell and Columbia's collection of Colombian publications overlapped a full 30%). Instead, by working together, we will reinvest those savings into additional titles from the country to collect deeply from all the university presses and beyond to include La Carreta, Tragaluz, Letrarte, and many more. A visit to the Candelaria sparked stops at the Librería del Centro Cultural Gabriel García Márquez, the Biblioteca Luis Ángel Arango, and the Archivo General de la Nación. I had not previously visited the national archives and did so at the request of a professor at Cornell to investigate the acquisition of a primary resource collection now available on microfilm. This entry was posted in Global Studies and tagged Book Fair, Latin America, library resources, Portugal on May 6, 2013 by Sean Knowlton. Due to the large size of the database, the videos are not held locally at Columbia, but are uploaded upon request to a Columbia server. Once you find a testimony that looks appropriate for your research, click on the link to "request this testimony." You will receive an email notification when it is available for viewing. Because the uploaded videos are held on a Columbia server, the testimonies can only be viewed on the physical campus. If you are not in New York, or can't get to Columbia, you can view testimonies at one of many access sites (sfi.usc.edu/locator/) located around the world. This entry was posted in Global Studies and tagged African Studies, Genocide, Holocaust, Jewish Studies, library resources, primary sources, research, Rwanda on April 24, 2013 by Michelle. Today marks the opening of the trial of Efraín Ríos Montt, former Guatemalan army general and dictator, who is being charged with genocide and crimes against humanity. Guatemala's truth commission report, issued in 1999, put the death toll at 200,000 during the course of an almost 40-year civil war. In a press release, Navi Pillay, the UN High Commissioner for Human Rights, stated "This is the first time, anywhere in the world, that a former head of State is being put on trial for genocide by a national tribunal.” The prosecution will turn to an extensive body of documentation, including military records, government documents, and the testimony of 142 witnesses in making its case. It is the exception and not the rule to see so much documentation survive a conflict. CHRDR's archives, especially the records of Amnesty International USA and Americas Watch (Human Rights Watch). These collections document human rights monitoring and advocacy from the 1960s to 1990s. Digital National Security Archive, Death Squads, Guerrilla War, Covert Operations, and Genocide: Guatemala and the United States, 1954-1999, declassified U.S. government documents. NACLA Digital Archive, news and analysis of Latin America with coverage of Guatemala from the 1960s-present. Human Rights Web Archive, a CHRDR initiative to preserve human rights websites. Daniel Rothenberg's one volume edition of the Guatemalan Truth Commission Report, Memory of Silence; the original 12 volume report, and an online edition. The Trial of Efraín Ríos Montt and Mauricio Rodríguez Sánchez, news and analysis via the Open Society Justice Initiative. Digital Archive of the Guatemalan National Police, via the University of Texas at Austin. Operation Sofia: Documenting Genocide in Guatemala, electronic briefing book by the National Security Archive at GWU. This entry was posted in Global Studies and tagged CHRDR, Guatemala, Human rights, Latin America, library resources on March 19, 2013 by Pamela. Get the latest country report and country profile of Venezuela. Also, browse the online archive of these weekly, monthly and annual reports. Full-text news from Latin America, including government publications, and political, economic and financial sources. Full-text current and archival news sources, including Latin American news sources such as "El Nacional" from Caracas. Use this index to citations from over 500 Latin American studies journals (with links to full-text articles) to identify scholarly articles on your topic. Coverage: 1970 to the present. This entry was posted in Global Studies and tagged Latin America, library resources, research on March 6, 2013 by Sean Knowlton.